If this were 150 years ago, and the UK was a wealthy patient visiting a doctor, she would probably be told she was having a nervous breakdown, and sent to Switzerland for a rest cure. 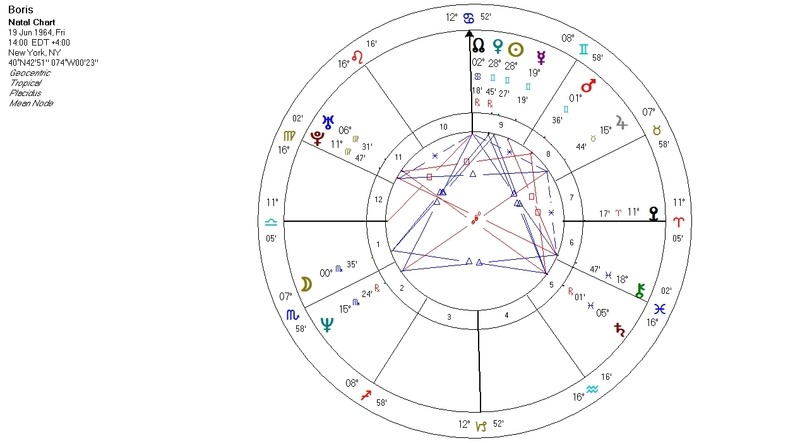 As an astrologer 150 years later, I’d say that the UK is near the end of a series of Pluto transits, during which much has been revealed, but it also means she doesn’t know who she is or what she wants anymore. Hence the political paralysis. Maybe in some cases the rest cure would give the time and space for the job to complete. But in this case, I think things need to be lived and worked through. 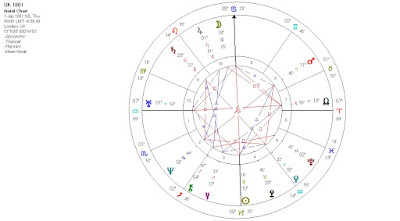 The 2 main character traits in the UK chart are Capricorn (Sun and IC) and Cancer (Moon and MC). They are opposite signs, and as such provide a healthy tension within the national psyche that pushes us towards unity. These 2 traits came out as opposites in the EU referendum: The Capricorns wanted to claim back our boundaries, to forge our own independent place in the world again. 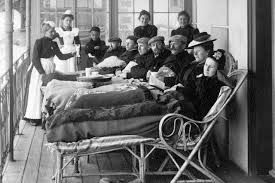 The Cancers valued the feeling of connectedness to Europe, one big tribe, and cared about all the people from mainland Europe who had made their homes here. And these 2 traits had become polarised, frequently holding each other in contempt. The Capricorns, as we know, prevailed. But in last week’s general election, it was the turn of the Cancers, those who wish for a fairer country for all. They didn’t exactly prevail – the Tories remain the largest party – but they did well enough to destroy the Tory majority in Parliament. So there are these 2 great themes, personified as Brexit and Corbyn. Neither can easily move forward: Brexit because there is no clear government with which to negotiate it; and the fairer society, because they don’t have enough seats. So we are getting a better sense of who we now are, but we aren’t ready to act on it, the alchemy is not complete. Hence the stalemate. Hence what appears like a nervous breakdown, but which is what I call a Pluto Underworld journey, during which the outer direction is usually not very clear. Pluto very nearly opposed the UK Moon this year, but won’t do so exactly until 2018. And this will be as Saturn hard aspects our Sun, Moon and Angles over the next 2 years. 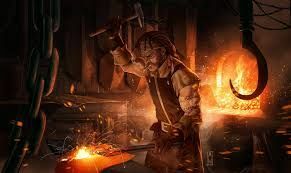 So I think the difficult process of Brexit will be the anvil on which we hammer ourselves into a new shape. It is Saturn, there is work to do. The Brexit we forge will reflect the type of country we want to be. 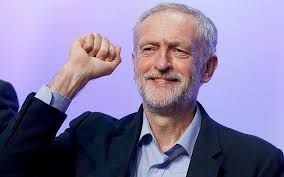 And the great thing about the combination of a hung Parliament and Corbyn is that I think we will be able to work through a Brexit deal with which a clear majority are happy. Corbyn is a reasonable man. He will not oppose the Tories for its own sake. 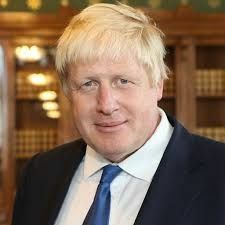 I think he is the man who will make the minority government feasible and Brexit possible. 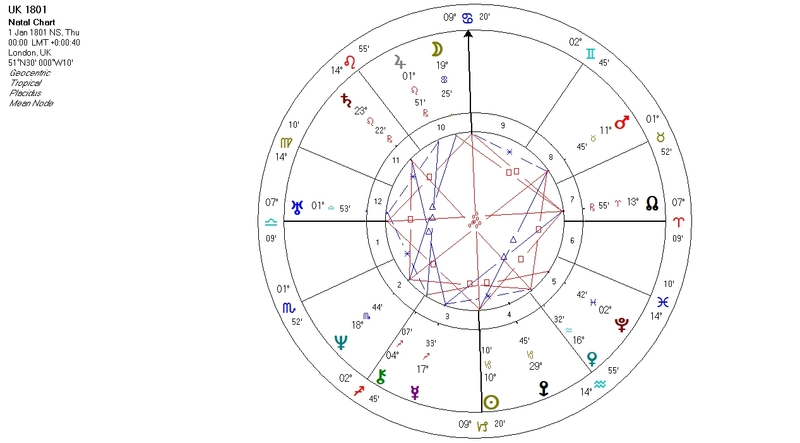 With Mercury and Venus at 15-17 Gemini, he will continue to inspire people over the next few years as Neptune squares these 2 planets. Uranus-Eris has been at work here. The sudden, shock event that changes everything. I could see from the election chart that the Tories were going to have to listen a lot more to Corbyn’s Labour party and what they stood for. Logically, that could only have meant a reduced majority, but I failed to see that. It’s been a bit of a zombie apocalypse. A year ago, Corbyn seemed like the walking dead as leader of his party. Now it is Theresa May, but it is hard to see her recovering. A week ago I wrote that Boris would get his chance to be leader in 4 or 5 years time, when the astrology favoured him. He does have a chance of another kind now, one which he would be advised not to take. 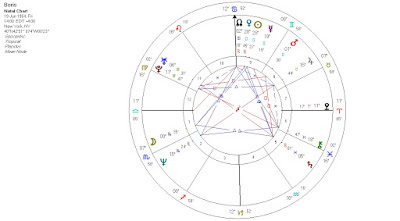 Uranus is starting to oppose his natal Moon in Scorpio, and this in turn rules his MC, his career point. He could suddenly find himself PM, but it would be unlikely to last more than 2 to 3 years, and would be characterised by instability, that being the nature of Uranus. And it would spoil for him the much more promising chance he has in 5 years time. Not that I personally want Boris as PM. I’d hazard a guess at Amber Rudd, the Home Secretary. Against her is the very slim majority by which she hung onto her Parliamentary seat. 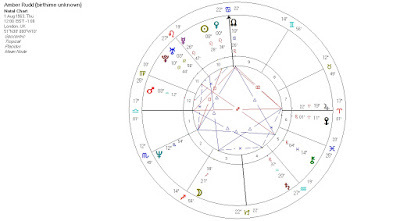 For her (we do not have a birth time) is her North Node at 19 Cancer, conjunct the UK Moon. We are collectively at a moment of destiny, and that would be a propitious placement for her to have as leader. Along with Moon in late Sagittarius, being activated by Neptune in the coming years. 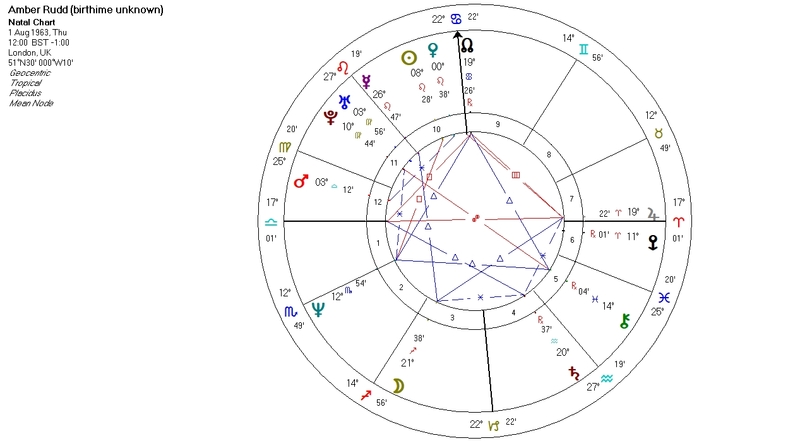 One way or the other, I think the Tories will elect a new leader in late August/early September, as Saturn (planet of leadership) starts to move forward again. Between now and then they will be sorting it out, which is what retrograde Saturn is good for. Oof, I think I commented on the wrong post! 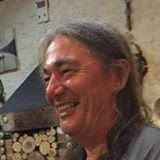 I disagree about your assessment of Cancer vs Capricorn in the British psyche and how they manifested via Brexit; Cancer, to me, is the nostalgic, inward-looking, hearth & home outlook that drove Brexit—people thinking they can go back to some kind of mythic Little England, people being clannish and wanting to put up walls against "not kin." Whereas Capricorn is the practical, pragmatic, economic-minded side, the driver of the Industrial Revolution and material negotiation. Clan matters less than utility and continued economic growth—money, prosperity, etc. The EU as an entity is very Capricorn: organized, bureaucratic, and a driver of wealth. Well you can usually argue these things both ways. But I think another point in favour of the remainers being Cancer is that so many of them were just so emotional about it when it went against them, even so-called educated rational people were going apopleptic. May is the walking wounded, and I agree she will be out by late summer. I was just over in the U.K. visiting family and I went to a Labour rally to see Corbyn. He was really on fire. Great speech. Lots of young people in the crowd, very galvanized. He seemed to gain momentum as the GE neared, whereas May made misstep after misstep. Strange times. Why do so many anti-brexiters describe Brexit-supporters in such pathological ways? Why do they feel qualified to tell us what we think, and what our motives are? If its not outright insults, its more subtle smears, such as that we are 'little Englanders' or that we are 'clannish'. The subtext being that we are stupid, or so out of date that we don't even deserve a place or a voice in today's world. Is the point to dehumanise us?